An endless horizon, new destinations and a mode of transport that’s a holiday in itself – a cruise makes for a truly fantastic getaway. Plus, they have never been more popular, with figures from the Australasia branch of the Cruise Lines International Association showing a record 833,348 Australians took a cruise in 2013. So, whether you fancy a two-week voyage that visits several countries on a single trip or prefer a short domestic break, there’s bound to be at least one cruise from Australia that will appeal to you. Here’s a look at some of the top cruise options to help you sail away from the daily grind. Should you be keen to explore the South Pacific on your next holiday, take the seven-night Pacific Island Hopper cruise. Departing from Brisbane on Saturday between two and four times a month, this P&O-operated cruise enables you to enjoy a fantastic week-long break but only requires you to use five days of your annual leave. You’ll call in at numerous amazing port destinations including the Vanuatu capital of Port Vila and Lifou, an idyllic island in French Caledonia that’s known for its beautiful coral reefs. You’ll also stop off at Noumea, which is often referred to as the Pacific French Riviera. The capital of French Caledonia, this beautiful city contains Art Deco buildings dating back to the 1930s and a fascinating Latin Quarter that’s home to a bustling nightlife. If you’re thinking about taking a longer trip, why not head off on a cruise to New Zealand? The popularity of these breaks have really picked up over the last few years and, when you think about the fantastic range of things to see and do here, it’s not hard to see why! From taking in the majestic Milford Sound fiord to exploring Tauranga – a pretty northern town great for fishing, diving and other watersports – you won’t be short of amazing activities and attractions in NZ. Cruises to Middle Earth depart from Brisbane, Melbourne and Sydney and often last from 11 to 14 nights so they’re a great option if you want a long holiday where you can really get away from the stresses of day-to-day life and relax. The ports you visit will vary depending on the voyage you select, but most cruises to NZ stop off at both the North and South Island. Wellington – the country’s capital – contains numerous cultural attractions such as the Te Papa museum and the National Library of New Zealand. Visit Napier in the Hawkes Bay region, meanwhile, to gaze at dozens of stunning Art Deco buildings and sample world-class wines that are produced in the numerous vineyards located nearby. The NZ cruise season runs from October to April, but visiting between January and March, when the weather tends to be most settled and warmer, may be an ideal time to go to make the most of the long summery days. Only have a few days’ leave to take a break or never been on a cruise before? If so, it’s worth taking a cruise sampler. Also known as a short break cruise, these trips are a fantastic way for first-time cruisers to see what such holidays have to offer and so you can test your sealegs. In addition, a short cruise delivers a taste of what a cruise operator has to offer without having to commit to a two-week holiday option. Perfect for romantic long weekends away or group holidays such as hen weekends and family getaways, such cruises last for between two and four days. For something a little different, why not go on a themed holiday such as a a comedy cruise? With these cruises departing from locations all across the country, including Brisbane, Fremantle, Sydney and Melbourne, finding a getaway that is suitable for you won’t be a problem. Take a cruise in the South Pacific with P&O from Sydney or Brisbane to discover a great array of destinations. P&O offer South Pacific cruises that stop off at Noumea and Lifou but you can also choose breaks that call in at the natural paradise of the Isle of Pines and Suva, the capital of Fiji. At the latter, you can sample delicious Indo-Fijian cuisine, buy beautiful designer goods at boutique stores and walk around the luscious Thurston Botanical Gardens. There could even be more opportunities to enjoy a cruise to paradise, as P&O is set to increase its fleet of Australia-based ships up to five. 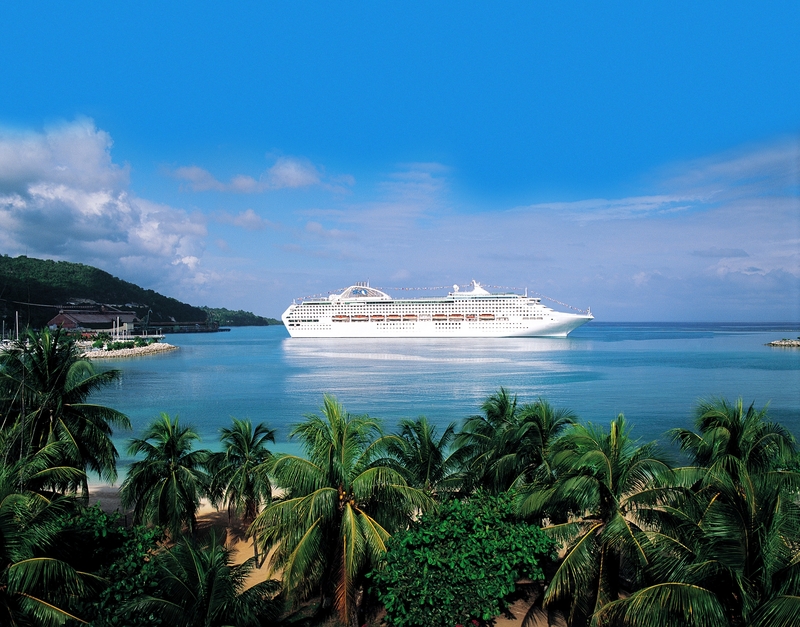 Last, but not least, we have cruises of the South Pacific offered by Carnival Cruises. The company runs cruises in the region all year around, so you’ll always be able to enjoy a voyage here no matter when you want to go away. With either a week break or a 12-night getaway, you’ll find you can stop off at numerous idyllic ports such as Mare, Santo and Vila. Why not select a cruise that calls in at Mystery Island? As its name suggests, this beautiful Vanuatu isle is remote and largely untouched by human development. Come here and you can talk a walk on pristine white sand or go snorkeling before getting back on your cruise ship to continue your voyage.